Every year on Nov. 10, the people of Indonesia celebrate National Heroes Day. This day commemorates a chain of events collectively known as the Battle of Surabaya. Sutomo, more often referred to as Bung Tomo, is one of the key icons celebrated on National Heroes Day. Throughout the Battle of Surabaya, the former Javanese journalist delivered numerous impassioned speeches and radio broadcasts, legendary for their fiery style. 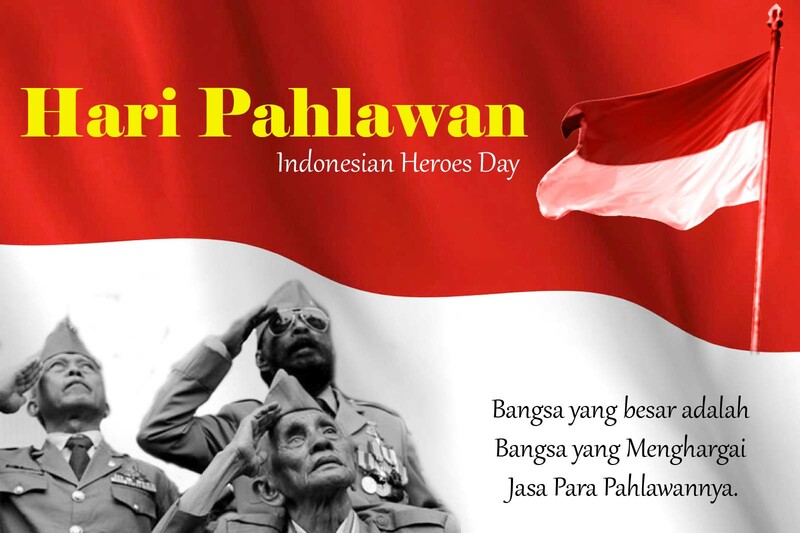 Happy Heroes Day to Indonesia, and respectful remembrance to all indonesian forces who did their duty.